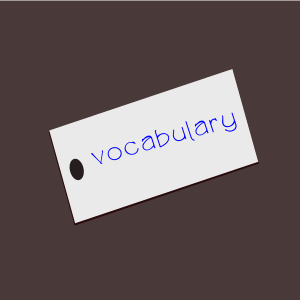 Word cards are one of the most useful ways to study vocabulary, in my experience. You can take them with you easily, and remove cards with known vocabulary from the list so you are studying only what you need. 1. Write out a sentence with the word you want to learn on one side. 2. On the other side write the word you want to learn. 3. Next to the word, write its meaning in English or draw a picture. Remove cards from this pile when you know them and keep them in another stack to look at them every month or so and throw them away when you really do know them. Posted on 8 January 2014 4 February 2014 by Marc	This entry was posted in Vocabulary and tagged studyhacks, wordcards. Bookmark the permalink.